What Is a Diagnostic Tool? What OBD 2 Scanner Should I Buy? What Is an OBD 2? What Is a DTC Code on a Car? How Do I Connect My Laptop to My Car? The best car diagnostic tool is based on the OBD (On-Board Diagnostic System) system of your car. You can access the subsystems of your car via this onboard computer. You can either consult a mechanic for the diagnostic or you can choose and buy the best car diagnostic tool yourself to perform the job for you. Being a DIY automobile repairer, I know a thing or two about how these machines work. Don’t worry, you don’t have to study mechanical engineering to check and resolve engine problems. That’s what scan tools are for. In this article, I have listed the 10 tools to help you pick the best car diagnostic tool. 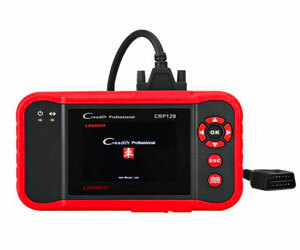 The CRP123 by Launch Tech OBD2 scanner fully capable of reading all 10 test modes of OBD2, along with ABS and SRS for many makes and models. This can also read the enhanced OBD2 Mode 6, which is sometimes missing from some OBD2 scanners. The build quality is nice and durable. It has a large 3.5-inch screen, along with an intuitive button design for navigating the menus and screens. What that screen can display is data flows from vital engine systems and readiness. The display menus and codes are available in multiple languages, including Spanish and French, in addition to English.You will see throughout the list that this is a feature that is lacking from some of the models, even the advanced ones. With so much on device functionality, it’s surprising then that there is no internal battery, which means the only way to run it is directly through the car system. There are also reports that the database libraries that the device comes shipped with are out of date when you take it out the box. Sadly, it does have regular software upgrades, however if you purchase this model, just make sure to update the device before you use it to get the most accurate results. The scanner has a little SD-card in it and you can download software that you can use to update this, so that it will always have the most current info for all the most current cars. This device may be a little more expensive than the standard Bluetooth model, but it makes up for that price with enhanced SRS and ABS features. The large screen and well-designed navigation buttons make for a user-friendly experience. The kit includes the OBD scanner, the OBD II connector cable, USB cord, card-reader and manual. Overall, the Launch Tech CRP123 is a great all-in-one OBD2 scanner for cars and trucks, smart choice for those looking to get enhanced features without breaking the bank. When it comes to choosing reliable scan tools, the customers has no dearth of options. There are loads of companies that manufacture scan tools for cars, phones, and computers. 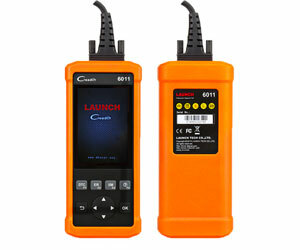 Launch CReader 6011 is a popular multipurpose tool that allows you to diagnose and reprogram vehicle control modules. The reader comes with OBDII/EOBD diagnostic features and SRS functions. The best feature for a whimsical traveller like me is that it comes with a power cord and doesn’t require batteries. The customizable console is armed with user-friendly hotkeys and a quick access toolbar. As far as the look and feel is concerned, I feel that the metallic construction and extended cover boost the durability of the product. The kit includes the OBD scanner, the OBD II connector cable, quick-access guide, protective case and a free scanner for checking updates. The Launch CReader is an all-in-one solution for car owners who want a robust and reliable scan tool for their vehicle. Replete with advanced yet easy to manage tools, the device is a hit among both first-timers and professionals. With its attractive interface, OBDII/EOBD functions and ABS features, the Launch CReader 6011 is definitely one of the best car diagnostic tools to buy in the market. Owing to the increasing number of viruses and malware circulating around the web, a powerful scanning tool is no longer a dispensable item for tech-geeks like me. 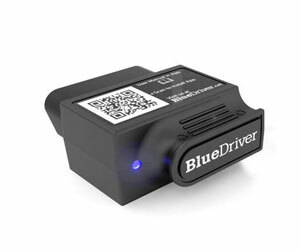 The BlueDriver Bluetooth Professional OBD-II is considered best car diagnostic tool for Android and iPhone users. I had spent a lot of time on the internet looking for a moderately priced car diagnostic scanner for my iPhone 6. The search was over with BlueDriver. The device is specially designed for Apple and Android users and comes with a set of really cool diagnostic tools developed by professionals from North America. The BlueDriver app is often recommended for users who have installed the scan tool as it enhances the performance and productivity of the device tenfold. I found the code reader quite user-friendly and responsive, featuring a hand-held scanner that also offers high-tech features like live data graphing, free updates, and a wide storage. Efficiently Reads and clears DTCs or diagnostic trouble codes. The BlueDrive scan tools work best with the BlueDriver Application that is available for all IOS and Android users. The BlueDriver App, though smart, offers no understanding on the engine’s running data. BlueDriver is a convenient tool for users who want a no-nonsense scanner that has the ability to work on and scan the modern engines. With its advanced OBDII/EBOD diagnostic functions and ABS solutions, the scan tool is successful in meeting up with all the expectations of users. The onboard monitors are excellent for retrieving live graphing data and gauging the data sources and logs of CVS files. If you’re looking for the best car diagnostic tool, you should definitely give it a try. There are so many OBDII grade scanning tools out there that promise users robust performance, excellent productivity, and responsive design. But we all know, very few actually manage to deliver the same. With the ever growing brands of scanning tools and devices, it becomes an overwhelming task for users to find the one that best matches their vehicle. The Foxwell Nt301 is a smart choice for users who want a cost effective and quick scanning tool for their cars. The NT301 is a tool you’d want to have if you wish to clearly read and clear engine DTCs for OBD2 and CAN compatible cars. Many of my colleagues happen to use this scanner and have a lot of good things to say about it. So, I looked up myself and yes, it has a couple of advanced features to help you keep the engine at optimal condition. With the on-screen DTC definitions and extensive database of DTC codes, you can check and solve the engine issues in a jiffy. Moreover, with the MIL automation VIN codes, you can easily acquire and decode manufacturer specific information. The NT301 model launched by FOXWELL is perhaps the best car diagnostic tool you’ll come across on the market today. Considered to be the easiest and quickest solution for ODB related faults, the device is compatible with all Windows, Mac, and IOS devices. It accurately checks the vehicle’s engine, diagnoses the problems and them come with the best possible solutions for their wide databases. Thanks to technology, it is surprisingly easy today to scan your cars for engine troubles and online threats. When looking for the best car diagnostic tool, I have seen many users often left with a dilemma because of the overwhelming number of choices presented to them. The ScanTool 427201 is a Bluetooth OBD 2 diagnostic solution that can support all devices from your laptop to your phone and cars and convert it into a real-time performance monitor. ScanTool is a company that has been known for their unique and unconventional products among users and the 427201 model is no different. It has robust and well-protected safety nets that can diagnose and solve the issues of your engine effectively. The intuitive interface can be protected with a manual password to prevent unauthorized access. I have been an Android user for years and I can safely pass it off as one of the most user-friendly platforms for Android devices. You’d love the brand ScanTool for its innovative and unique set of functions and tools that offer users so much more than a traditional OBD scanner. The affordable and convenient option offers all the necessary features you’d expect from a standard scan tool and more. With its robust security system, multi-layer password protection and compact, portable adapter, the device can be used almost anywhere, anytime and on any vehicle. So, is ScanTool the best car diagnostic tool nowadays? It is surely on of them. Autel AutoLink scan tool comes with a digital color interface and indicators that clearly tell you about the state and efficiency of the engine. With this tool, users can connect their laptops, phones, cars and pretty much every device and access the diagnostic reports. Its simple setup and incredible functionality of the machine are immensely popular among professional customers and technicians. The intuitive interface has a set of I.M ready keys and codes that can check the readiness and emission of the engine. It has worked like a charm for me so far. Moreover, it also supports all OBD-II and CAN vehicles and can be used to retrieve manufacturer more sensitive information permanent/pending codes and general vehicle information. It has a lightweight and portable construction. It feels durable and certainly is easy to manage. It comes with a USB cable, OBD-II cable, carry case and user manual, comes really handy during long road trips. Another USP of this product is the smart “freeze data” function that can stop the application temporarily while you reset the codes. The AutoTune AutoLink scan tool saves both time and money of the user. The scanning functions are at par with the latest and most advanced of updates in vehicles and hence, more adaptable. Having the best car diagnostic tool saves you the trouble of spending a fortune on getting it professionally checked for issues. From day-to-day use to regular maintenance, the tool has a number of uses. The next contender in my list is also from Foxwell. I got a chance to use it during a road team with my college pals. It worked perfectly well on our mini van. Once or twice, I observed some issues with the engine light and it helped me resolve the issue in no time. I particularly loved how easy it is to use the scanner. You don’t have to carry batteries with you as it draws the power directly from the car’s OBD-II interface. The big and bright LCD display shows all the engine data clearly and accurately, just like the best car diagnostic tool should do. Another useful feature of this scanner is the LED indicators. Green, yellow and red- these three color codes makes it all the more easier for you to keep tabs on the engine condition. Keeping in mind that not all of us are familiar with all the DTC codes, the device displays the meaning of the codes in layman’s terms. The Foxwell NT201 gives many of its contemporaries a tough competition by simplifying the operation for the non-techy individuals. Despite being packed with a bunch of super cool features, it is incredibly easy to use. I had no doubts on adding it to my “best car diagnostic tool” list. To know whether the engine has passed the emission test, you don’t have to depend on guesswork if you have this scanner at your disposal. Ancel AD310 is compatible with cars designed in the US after 1996, those designed in Europe after 2000 and all Asian cars. It is also compatible with newer CAN (Controller Network Area) and OBD II (On-Board Diagnostic level II) imported and domestic car models. To my great pleasure, the unit can display the readings in multiple languages other than just English. It has a pretty solid and user-friendly interface, which I feel, will be an added perk for the beginners. When connected, the device guides the user through an uncomplicated menu of access areas and functions that the device can perform. Should there be any error code, it detects the code and displays it on the screen. I have used it on multiple occasions and it hasn’t done any major goof-up yet. Among the other merits, the device can access old codes, pending codes that are self-explanatory. Once the engine check light is on, it searches for error codes and clears them, following which it resets the monitors. If it is connected to the OBD II connector, it indicates the user to turn the ignition on. Ancel AD310 comes in a sleek and classic handheld ergonomic design with an LCD display of 128 x 64 pixels. The LCD screen has a white backlight which lets me study the readings properly. To avoid glare, the device is also equipped with brightness contrast option. If you are on budget and on the lookout for the best car diagnostic tool with OBD and classic features, then Ancel AD310 may be the one for you. Sure, there are scopes of improvement but as an entry-level car diagnostic tool, it does a great job. Affordable and effective, the BAFX 34t5 scan tool comes with a set of cool premium quality features that will blow your mind! A very new and upcoming face in the OBD2 industry, the company is known for its smart, resourceful and solid solutions for cars and computers. The Bluetooth OBD2 scan tool in question can diagnose and cure the technical issues of your engine from their extensive database of both generic and primary codes. It connects with all 1996 and OBD2 complaint newer models and can be synced to your Android phones via Bluetooth. The colorful display monitor shows real-time vehicle information with an indicator. Another feature I appreciate a lot is their customer care service. I initially had some trouble with the reading. The customer care rep gave a quick and solution to fix it. Add to that, device is very cost effective and easy to install. Also, unlike most other scan tools, the BAFX tools have a fairly longer life. BAFX is a brand that is quickly becoming a household name among users thanks to its solid features and reliable scanning solutions. The tool is ideal for both first-time users and professional. The fact that it comes with Bluetooth connectivity and in-depth database makes the product probably the best car diagnostic tool, if you want it cheap for your vehicle. Ancel AD210, a sleek and elegant scan tool, is the latest addition to the long list of car monitoring solutions that are currently circulating the market. The product in question is armed with all the latest solutions and scan codes that are faster and more efficient than other Bluetooth Wifi OBD2 scanners. Ancel AD210 works well with almost every vehicle, from old 1996 models to the more advanced OBD2 and CAN cars. The multi-lingual interface supports languages such as English, Spanish, German, French, Portuguese and Russian. Compared to my previous scanner, it is far more efficient in diagnosing the problem and generating real-time reports, displaying the details of your vehicle and engine on the display monitor. Moreover, I can customize the easy to read menu just the way I want. You can delete, upgrade codes or retrieve generic and manufacture-generated codes. Most importantly, the easy installation saved me a lot of time and effort. Ancel is a scan tool manufacturer known for its scan tools that support both casual and professional users. With a smart interface, advanced features, robust diagnostic solutions, and a visible display, a scan tool is a lucrative option. It reads codes, analyses them, generates reports, prepares graphs, and clears errors, all in the real-time. What else would you need from the best car diagnostic tool? Autophix is a brand that has been in business for quite some time now, known among customers as a reliable and solid scan tool manufacturer. The recent addition to its products is the OM121, a car scan tool that combines the best of smart features and aesthetic appeal. Delicate design, sleek appearance and stable operation of the tool enhance the performance of your vehicle. The convenient functionality of the scan tool is ideal for both novice and experienced mechanics alike. From diagnosing the errors to clearing them in a matter of minutes, the tool can do anything. The product supports all OBD II and CAN import vehicles as well as 1996 models. It checks scan codes, clears errors, and generates reports for all US, European and Asian models. Add to that, the scan tool is very easy to install and manage. All you have to do is plug in the device to the car’s 16-pin OBD port. When it comes to choosing a compatible and competent scan tool option of your car, nothing but the best would do. Inexpensive and powerful, the OM 121 Autophix is among the most reliable tools for DIY users and professionals. From the extensive database to the display monitor, everything is customized to your requirement. While it might be not best of the best car diagnostic tool, it has its loyal customers. How Do I Connect My Laptop? The best car diagnostic tool is a device that is meant to diagnose your car’s condition, and often reprogram the control modules. Car diagnostic tools come in several varieties according to the manufacturer. This ranges from the basic code readers to the more sophisticated bi-directional computers that are capable of programming. The code readers are more or less only meant to read the various codes pertaining to specific problems. However, scan tools that are more complex provides you with a complete analysis of the status of your car which includes descriptions and suggestions for analyzing the codes. Some scan tools also offer you with data in real time, like the emission level of the car and other factors. They can, in specific parameters, even calibrate modules. But this will require certain software and thus, most scan tools are more limited in its functioning. If you are not interested in these extra advantages, you can, of course, purchase a simple code reader, also known as OBD 2 scan tools. You will only need to download an app on your phone to be able to read the codes. It will save you from regular trips to the technician for an update about the condition of your vehicle. You can check the functioning of the various components of the vehicle yourself and save a lot of money. With the best car diagnostic tool, even a basic one, you just have to visit the mechanic only when you know that something is wrong with the car. If you have basic car skills, you might even be able to fix it yourself provided you have got an OBD II scanner that provides the complete data and procedures. A car diagnostic test involves a fast but correct evaluation of your car. The technicians who are performing the test look into the data from the onboard computer of your car. Doing this, allows them to access the trouble codes and the notifications from the car’s manufacturer. A diagnostic test is meant to reveal several issues that are reflected in the improper functioning of your car. Vehicles nowadays are built with sensors, microchips, and computer processors. This, when connected to the onboard computer of your car, can scan out the exact source of the problem. These problems may be related to oil tanks, the exhaust system, gas tanks, transmission and other areas of your car. A diagnostic scan on your car will alert you to problems persisting about the build-up level in combustion engine, inconsistency in the ignition timings. It also informs you about the performance of the fuel injector, the rpm level of the engine, the positions of the camshaft and the crankshaft, the firing of the ignition coils and more. After this, the computer tags the data points to find out the problem and this code is stored for the technician to later work on the issue. A diagnostic test is also meant to properly identify the problem that has caused the check engine light to turn on. The check engine line is the precursor to server problems, most of which takes time to be discovered. With a proper diagnostic test, you can not only avert problems which are currently causing your car to function improperly but also look into those issues which haven’t manifested yet. It is highly essential to perform a regular diagnostic test. If you don’t want to go to the technician for it, you can easily purchase one of the best car diagnostic tools for your purpose. An OBD2 scanner works as a gateway into your car’s onboard computer. To begin with, you need to connect the scanner to the computer. You will have to plug in the scanner into the port that is placed under the dash. In most cars, it is situated near your knees. The power source may be external or internal, depending on the scanner you are using. Most run on the power generated by the vehicle while it is running. To bring the computer up to date, you need to turn on the ignition. If the check engine light is on, you will have to conduct the scan. An OBD2 scanner is perfect for a thorough check-up of your car if you are planning to go off-grid. You can check real-time data and even store codes for later analysis. If you want to go cheaper, a simple code reader would be a better choice. The code reader will simply show you the codes and you will have to look them up in the menu. A better OBD II scanner helps to pinpoint the problem and its source. It will provide viable options for you to check so that you can discover whatever is wrong. A scanner will hardly draw much power from your car. But it can save you a lot of money in any situations. You can connect it with your smartphone to access the app and access the codes. It is always better to keep one in your dashboard. Small and compact, it will not take up much space. Most OBD II scanners are not too complicated. You can always consult the manufacturer guide to help you figure out the unique features in each scanner. Diagnostic scanners are differentiated by the range of codes they are capable of detecting. The simplest ones are known as code readers. They have the basic features and can clear codes, but not much else. However, they are certainly cheaper. They won’t display more than engine data or PCM. The more sophisticated OBD 2 scanners come with multiple unique features. Before buying, you need to know whether your scanner will work on European or Asian cars. If you have a US-based car, most scanners will be suitable for you. The more expensive ones are suitable for more than one kind of vehicle. The best car diagnostic tool will come with alerts for problems concerning monitoring of the tire pressure, anti-lock brakes, and more which includes about 75 codes which are installed in most vehicles. You should at least buy one that displays the definitions for the generic codes and even permanent and pending ones. Some can freeze a frame of information for later perusal. They may even have Wi-Fi connection which will allow you to connect it without a USB. It might be able to retrieve the identification number of the vehicle which is necessary if your car has been rebuilt. The better ones show the data in real time and even save the information so that you can refer to it afterward when you go to the technician. As with everything, best car diagnostic tool will cost more. But you can avoid compatibility issues which happen with most of the cheaper models. If you are someone who spends long hours away from civilization, it is better to know when there is some major problem in your vehicle. OBD 2 scanners or Onboard Diagnostic Scanners are connected to the onboard computer of the car for diagnosing codes and reporting. While OBD 1 scanner varies according to the manufacturer, OBD 2 scanners use similar designations for codes, connectors, and protocols for communication. The simplest code readers, while providing the basic code reading and clearing mechanisms do not offer further information on codes that are manufacturer specific. It also does not offer access to any other data. Scanners, on the other hand, offer access to both recorded and live data. It also offers manufacturer specific codes. They can also read soft codes which are codes which haven’t yet turned on the check engine light. It has more access to information as well. The data is collected from all the sensors and fed to the onboard computer. This data is read by the OBD II scanner which can also build up customized lists for parameter IDs. You may also access the readiness monitors along with other information. All OBD II scanners use one connector called SAE J1962. The basic scanners can be plugged into the diagnostic connector for OBD II in the vehicle. The best car diagnostic tools come with modules or keys meant to augment the connector for interaction with the controls or information that are OEM specific. These scanners work on cars that have been built after 1996. So make sure that you know the correct information before purchasing your OBD II scanner. Otherwise, it would be a waste of money. The ELM327 is a microcontroller device which works as a connection between the onboard computer and your smart- phone or PC. It is not as adept or versatile or self-sufficient as an OBD 2 scanner. However, as a cheaper option, it essentially provides the same basic advantages. It can link to the OBD II system and then transport the data through Bluetooth, USB or Wi-Fi, based on its individual implementation. It usually supports many protocols of ISO and SAE. It can connect with any vehicle with an OBD-II connection. While not exactly the same as the Hayes command yet, its commands are very similar. While you can use the ELM327 for diagnostic tests, you have to access other software and hardware. They will also offer you the trouble codes and you can read the PIDs as well. The communication system is bi-directional. With this, you can clear the codes that you have already accessed. It is an easy to use the device but connections can be tenuous. Moreover, if you want to access the codes, you will need some kind of hand-held device or at least a smartphone or a PC for it to work. The ones with a Wi-Fi connection are usually more expensive. But at the same time, they connect with more devices than those with a Bluetooth connection. But the ELM327 devices that are connected through USB have the widest compatibility. They are cheaper and you have no chance or an irregular connection. Bluetooth connected ones are incompatible with devices that operate on iOS. They are cheaper than the ones with Wi-Fi connections. However, with PC or Android, you can connect any one of these. DTC is short for Diagnostic Trouble Codes. The computer based engine of your car is able to self-detect any problems in your vehicle that affects its emissions and performance to an extent. This can also be applied to the anti-lock system and the onboard system. When a problem has been detected, the computer will retain the DTC in its memory. Then the check-engine lights are activated. Some vehicles can turn on their diagnostic modes by grounding those terminals which are available on the diagnostic connector. This also activates the check engine or other lights that are meant to alert you about problems persistent in your car. But maximum vehicles are simply designed for plugging in the DTC scan tool into the onboard computer system. You can connect your laptop to the onboard computer system of your car. The system is designed to keep a track of the proper functioning of your car and its components. To connect your laptop, you have to convert this equipment to your PC. This is usually accessed through the OBD 2 port on the car. This inch long port can usually be found below the steering wheel around the fuse box. Firstly, you have to plug in the OBD 2 adapter end to the OBD2 port on the car. If you need help, the manual should offer you more information. The USB should be connected to the computer. You can install the software with the help of the installation CD in your laptop. After this, the data from your vehicle will be easily available to you. 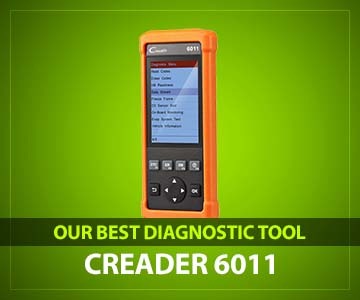 If you ask for my recommendation for the best car diagnostic tool, I will go for Launch CReader 6011 over any other product. The operation is pretty straightforward. So, if you are not a seasoned mechanic, this could be your go-to choice. However, if you’re specifically looking for a pro-level tool, you can consider FOXWELL NT301. In conclusion, I would say whichever product you choose, make sure to do your due diligence before finalizing your purchase of the best car diagnostic tool.